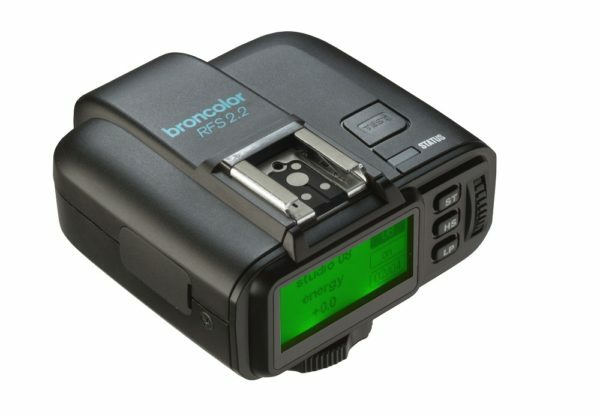 Broncolor's new RFS 2.2 transceiver remotely controls flashes and supports 1/8000 second sync. Also: new grids. Broncolor’s Siros L and Move flashes have gained support for high-speed synchronisation (HS) thanks to a new RFS 2.2 radio transceiver. With the new module, which fits on Nikon, Canon or Sony cameras, photographers can use shutter speeds up to 1/8000 second, making it easier to freeze action, darken backgrounds or use wide lens apertures. The Broncolor RFS 2.2 has an LCD screen that allows photographers to view and adjust the settings of their Broncolor studio lights. It runs on the 2.4GHz frequency band, has a range of 50 metres (outdoors) and runs on two AA batteries. Eagle-eyed readers may notice that the RFS 2.2 transceiver looks rather like the Godox X1 TTL trigger. Broncolor representatives at Photokina confirmed that the RFS 2.2 is made by Godox, with different circuitry to enable Broncolor RFS 2 compatibility. So while the units might be manufactured in the same place, the Godox X1 and Broncolor RFS 2.2 are not necessarily compatible. The Move pack requires a firmware update from a Broncolor service centre for the HS feature to apply, while Siros L units will benefit from a user-installable firmware update which can be downloaded here. Other RFS 2-series-equipped flashes will have non-HS triggering support. Extra RFS 2.2 units, acting as receivers, can be used to add other flashes (even other brands) into your system. 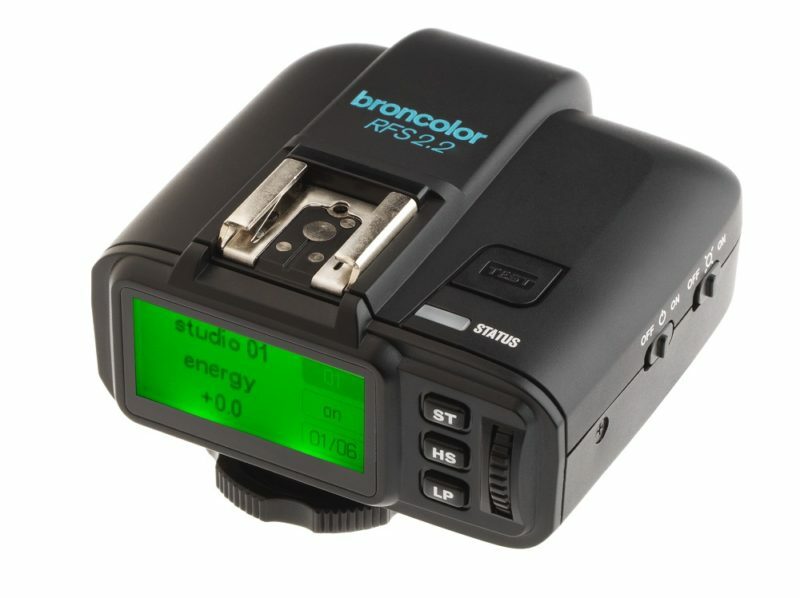 The Broncolor RFS 2.2 has a recommended retail price of $114.95, available for Canon, Nikon and Sony cameras. 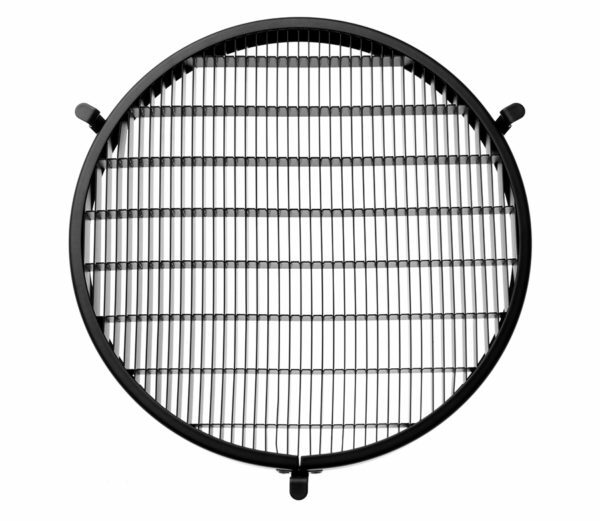 Broncolor has also introduced a new grid for their P70 reflector. The Strip Grid 5:1 has an unusual pattern, comprising rectangular slots with an aspect ratio of 5 to 1. This yields an elliptical, rather than circular, spotlight pattern on your subject. The Strip Grid 5:1 has a recommended retail price of $235. For more information, visit bron.ch/broncolor, or see Broncolor’s stand I040, Hall 4.1 at Photokina in Cologne this week.